A new study led by the Canadian Rivers Institute (CRI) suggests that, not only is the St. John River an important habitat for striped bass from other rivers, but it still supports its own native population, according to a recent article published in the American Fisheries Society’s journal, North American Journal of Fisheries Management. Several scientists from the CRI at University of New Brunswick led the study, joining forces with the Massachusetts Division of Marine Fisheries, University of Montana and Acadia University, to reach these conclusions. Since the native St. John River striped bass population collapsed in the 1970s, all striped bass occurring within in the river were assumed to be adult migrants from either Nova Scotia or U.S. origin populations. "Our study uses state-of-the-art genomics to investigate the population of origin of some recently collected juveniles, and found they possess a unique genetic signature,” said Nathalie LeBlanc, PhD candidate at UNB Saint John, supervised by Dr. Scott Pavey. 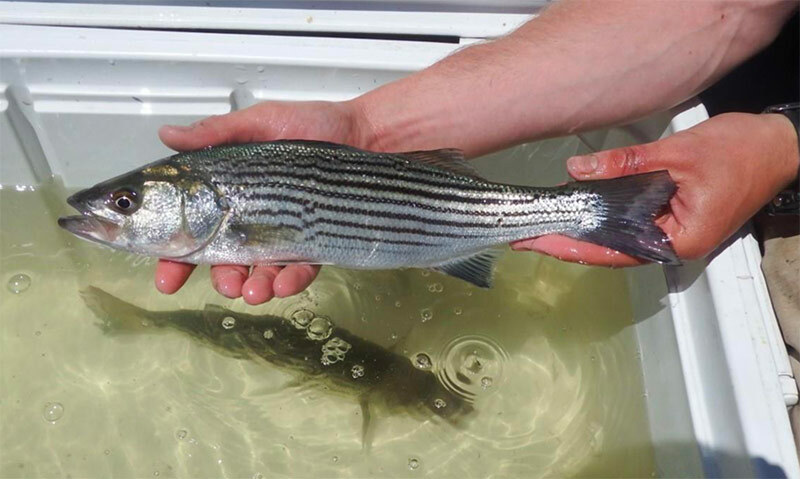 The scientists’ findings suggested that there is a remnant population of native striped bass persisting in the St. John River, that interbreeding between native and visiting migrants is occurring, and that successful spawning of native striped bass, while infrequent, continues to occur in the St. John River.